Kikkan Randall is a world champion cross-country skier, five-time Olympian, and the only mom on the 2018 US Olympic Team. Kikkan serves as the president of Fast and Female USA, inspiring and empowering girls to live an active lifestyle. Internationally known outdoor retailer L.L.Bean, welcomes its testing and design partner Kikkan Randall to its Flagship store in Freeport, following her victory at the winter games in Pyeongchang. 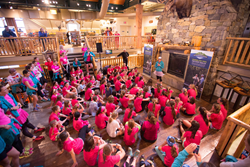 On Saturday, March 31, L.L.Bean and Kikkan Randall will be hosting two Power Hour events through Fast and Female, an organization dedicated to keeping girls happy, healthy, and active in sports. Kikkan Randall is a world champion cross-country skier, five-time Olympian, and the only mom on the 2018 US Olympic Team. She won the first ever Olympic Gold Medal for the US in cross-country skiing, along with teammate Jesse Diggins, in the team sprint event in 2018. Kikkan serves as the president of Fast and Female USA, inspiring and empowering girls to live an active lifestyle. Kikkan will lead two hour-long events designed to inspire and empower girls ages 8-18 with fun and athletic activities that complement other sports training. These events will take place inside the L.L.Bean Flagship store at 10:00 a.m. for girls ages 8 to 12, and 1:00 p.m. for girls ages 13-18. While both free events are sold out, a waiting list is available online. "We are thrilled to welcome Kikkan to Freeport again, " said Christina Semanyshyn, partnership marketing manager for L.L.Bean, "she is an amazing role model for women and girls of all ages, which is exactly what Fast & Female is all about – empowering young women to be healthy and active throughout their lives. Kikkan has been an inspiration to us as a testing and design partner over the years, and we know she'll have a positive impact on the girls who attend these events." 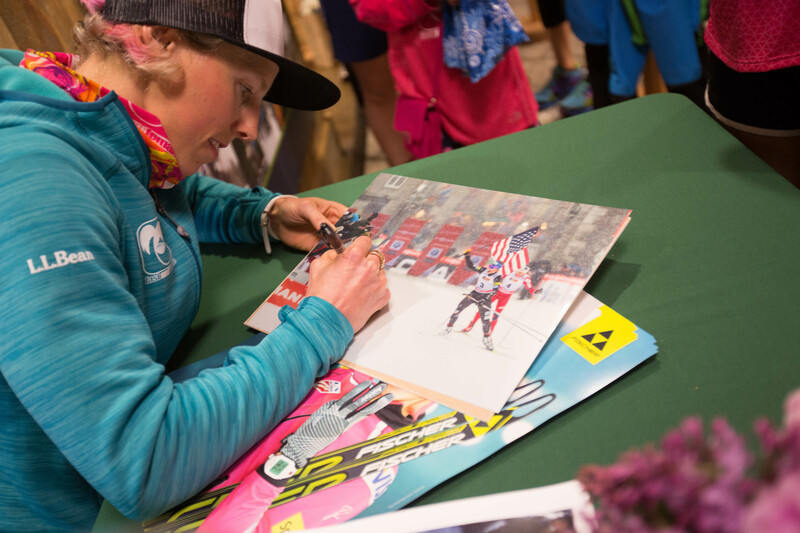 In addition to the Power Hour events, Kikkan will be available to meet fans and sign autographs 11:30 a.m. to 12:30 p.m. and again 2:00 p.m. to 3:00 p.m.
L.L.Bean, Inc. is a leading multichannel merchant of quality outdoor gear and apparel. Founded in 1912 by Leon Leonwood Bean, the company began as a one-room operation selling a single product, the Maine Hunting Shoe. Still family owned, Shawn Gorman, great grandson of Leon Leonwood Bean, was named Chairman of the Board of Directors in 2013. While its business has grown over the years, L.L.Bean continues to uphold the values of its founder, including his dedication to quality, customer service and a love of the outdoors. In the past five years, L.L.Bean has donated over $6 million toward conservation and land stewardship. L.L.Bean currently operates 39 stores in 17 states across the United States, along with 25 stores in Japan. The 220,000-sq. ft. L.L.Bean retail store campus in Freeport, ME, is open 24 hours a day, 365 days a year and welcomes more than 3 million visitors every year. L.L.Bean can be found worldwide at http://www.llbean.com, Facebook, Twitter, YouTube, Pinterest, Google+ and Instagram.